During the latest episode of Inside Xbox, Microsoft had a segment of the show for a Backward Compatible announcement. While the only new title they revealed for Backward Compatibility was Ninja Gaiden II, they did reveal Xbox One X enhancements for that title and five others from the Fable and Splinter Cell franchises. The above additions bring the total number of Xbox One X enhanced Backward Compatible games to 62. 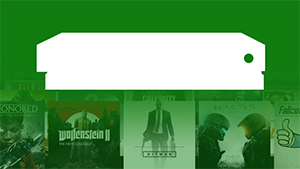 Click on the following link for a full list of Xbox One X enhanced games.